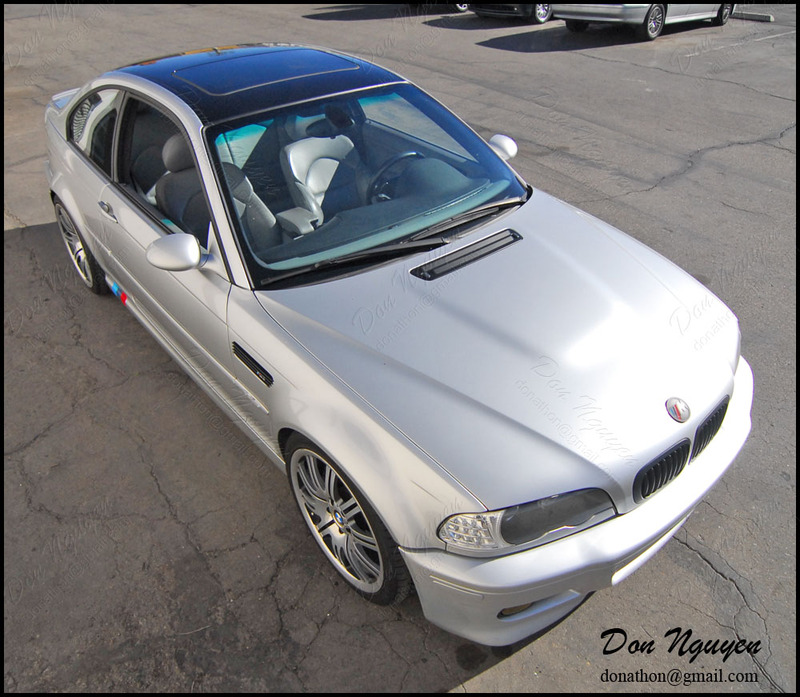 The owner of this silver E46 BMW M3 brought his car in to have me vinyl wrap the roof of his car in my gloss black vinyl material. It was also a nice change of pace to have a non-white colored car come in for some vinyl work done. The owner of this car drove his car to my shop in Anaheim Hills/Orange County to have the work done. 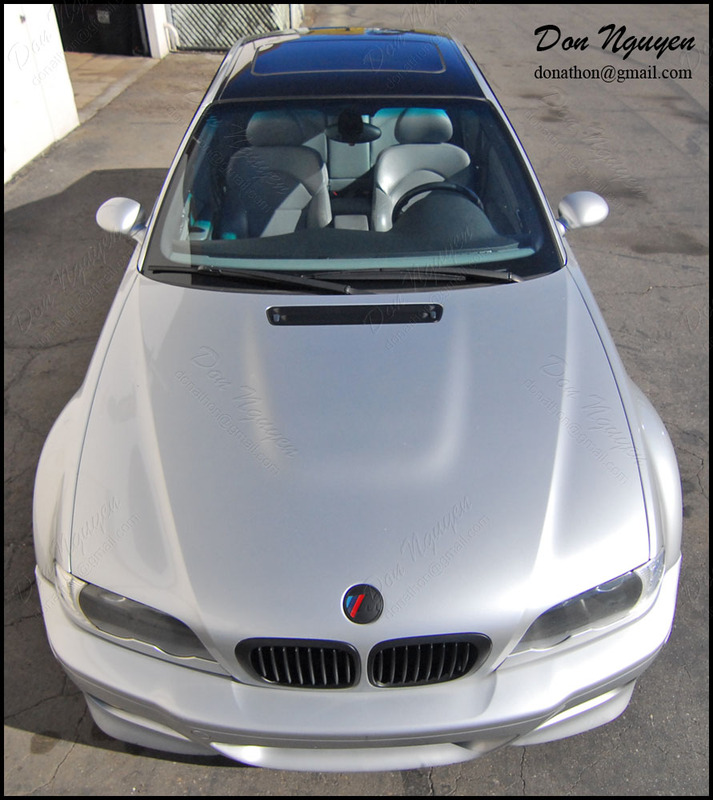 I think the gloss black roof on the silver really contrasts and compliments it fairly well.